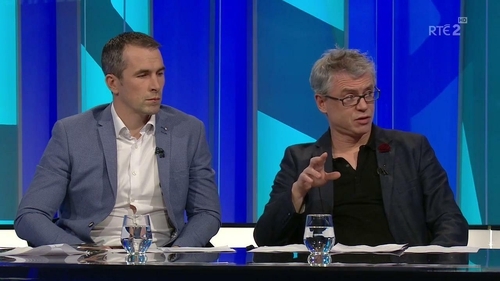 Joe Brolly has slammed Cork’s strategic report aimed at reviving Rebel football as ‘gobbledegook, waxy nonsense and sugary PR’. At the start of the year Cork GAA released a five year plan aimed at improving the big ball game in the county, which last won an All-Ireland Senior Football Championship title as recently as 2010. But with the Rebels languishing at the foot of Allianz Football League Division 2 with one point from three games, Brolly was in no mood to hold back. "I read this report with interest and it’s all mumbo jumbo. Is it any wonder Cork football is in the state it’s in; the black hole in the finances..." he said, speaking on Allianz League Sunday on RTÉ2 Television. "Here are a few lines from the strategic report: ‘we’ve lost our Corkness and we need to rediscover that Corkness that makes us Cork’, ‘brand Cork needs urgent work’, ‘there’s been a disengagement of stakeholders’ – there was a disengagement of the Cork full-back line today for two goals inside four minutes for Clare. "They’ve said ‘we need a synergy going forward’. Virtually the only thing they didn’t do was quote Nelson Mandela – all this nonsense when they have a real job of work that needs to be done. It’s just sugary PR – I’ve read the report. It’s all gobbledegook and there are no shortcuts." Cork were hammered by Clare in their third Division 2 game on Sunday, following on from a defeat to Kildare and an opening day draw with Fermanagh. They are now in real danger of relegation to football’s third tier and their next game is a must-win encounter with leaders Meath. This is the latest set-back for Cork, who saw a huge overspend on the redevelopment of Páirc Uí Chaoimh and the revelation that the stadium would have to be closed due to problems with the new pitch.